Before we dive into this trip report, let me give you a little back story. This summer, Anberlin released their final album, Lowborn. It’s an awesome album, but that’s no surprise considering how great every other one of their albums is. Because it was their final album, they planned on one last world tour. I saw them a total of three times prior to this, but I had to go to at least one of their final shows. I grew up listening to Anberlin, so I’m a huge fan of their music. Sadly, we missed their concerts in Adelaide and Sydney by just a few days, which meant our last chance to see them would be during the US portion of their tour. They didn’t plan on coming to Grand Rapids, which isn’t a surprise. GR is often overlooked in favor of Detroit and Auburn Hills, when it comes to big name concerts. My closest options in this case were Detroit and Chicago. The problem with both of those cities was that the concerts were on weekdays and I didn’t want to take work off. I ultimately decided to fly to one of their concerts, because I would finally be able to make use of my Southwest Companion Pass. I checked out which weekends I had available and what cities they were playing in during those weekends. My two options ended up being Denver and Dallas. 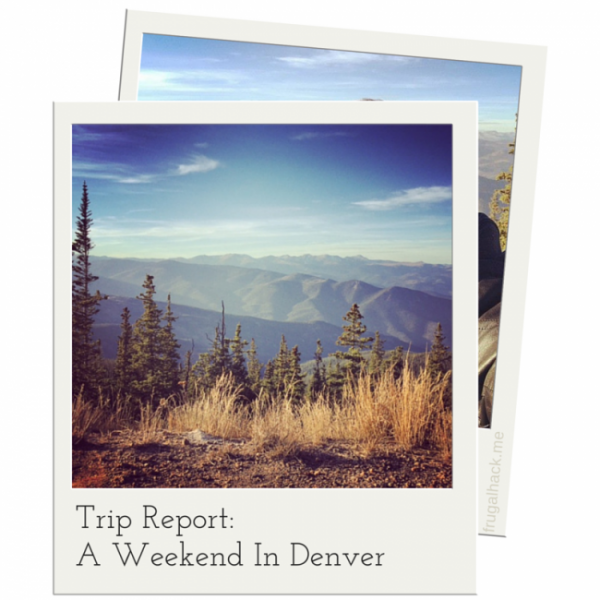 As you can tell by the title of this post, I chose Denver. Why? Because, Denver was a direct flight and Dallas wasn’t. We had a mid afternoon flight out of Grand Rapids, which was nice. It saved us from the morning outflux of passengers. Our flight technically wasn’t delayed, but we didn’t actually leave GR until about 30 minutes after the scheduled departure time. That’s primarily thanks to Southwest’s extremely annoying boarding process. This was our first time flying Southwest and I must say, I’m not a huge fan. However, the cost savings of our companion pass is worth a little discomfort. Next time, though, I hope I’m not in the middle seat (especially for both flights). Once we arrived in Denver, we picked up our wimpy little Nissan Versa and drove to The Country Inn & Suites. I chose that hotel, primarily because Club Carlson is extremely generous with their credit card perks. Two nights for the price of one? Yes please. It was nothing spectacular, but breakfast was free and they had all you could eat cookies and coffee available all day. We also had a pre-clogged toilet, which was very exciting! After the #uncloggening (for some reason that hashtag never caught on), we were off to traverse the Rocky Mountains in our glorified lawn mower. That car barely made it up the mountain roads, but at least we got 35+ mpg. 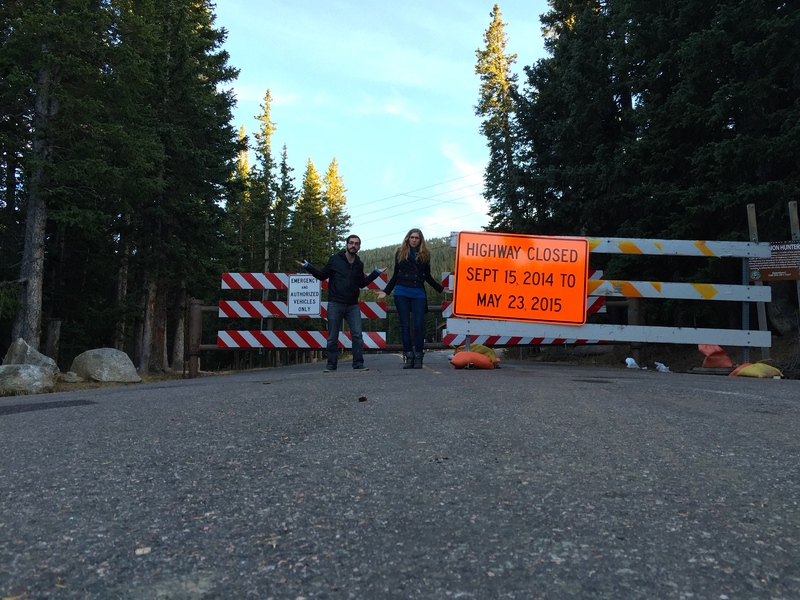 We planned to drive up to Mount Evans, which is the highest drivable point in North America, however, that plan was extinguished when we were just 3,000 feet from the summit. Apparently, that road is closed for the winter. I guess we never received the memo. All wasn’t lost though, the scenery at 11,100ft was simply breathtaking. It’s amazing to see road turn into dirt, dirt into grass, grass into water, water into mountains, and mountains into snow. If you ever make it to Denver, I highly suggest taking a trip to Mount Evans, even if it’s closed. Our Mount Evans trip took a total of five hours there and back, but it was worth it just for the scenery. On our way back we stopped at Uno’s Chicago Grill to grab a bite to eat. The pizza was okay, but definitely not authentic Chicago deep dish. If I had to rate it I’d give it a 2/5 stars. From there, we went back to our hotel and got a little shut-eye. After breakfast the next day, we went downtown to the 16th St. Mall. I don’t usually shop at malls, because 95% of the time it’s cheaper to buy product online (primarily thanks to the use of portals and coupons). Unfortunately, the Anberlin concert wasn’t until 8:00pm, so we went to the mall to explore the city since it was in the heart of downtown. We’re sure glad we did too, because there was a lot happening. 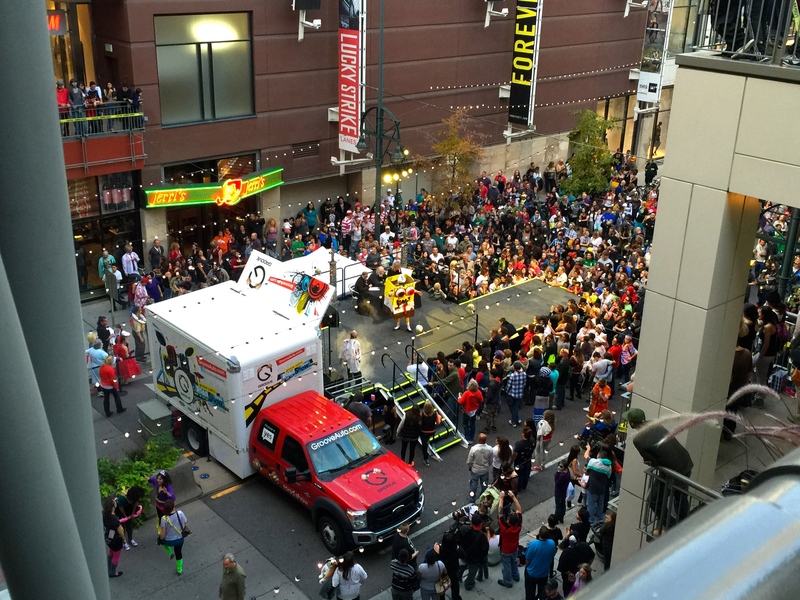 The annual Denver Zombie Walk was in full swing by the time we got down there, which was a lot of fun. There were all sorts of zombies from zombie Pokemon to zombie Teletubbies to zombie Waldos. It was great, some people are extremely creative. After a few hours of walking around, we decided to catch a movie. Ever since I saw the trailer for Fury, I was really excited about seeing it. By chance there was a show starting 20 minutes after we accidentally stumbled on a movie theater, so we bought our tickets and went in. It was a really good movie. If you like World War 2 movies and/or great acting, I highly suggest watching it. Our movie finished about an hour and a half before the doors opened for Anberlin, so we walked around a bit more and watched a zombie fashion show – it was pretty awesome. We made it to the concert hall, about 20 minutes before the doors opened, to find the line two blocks long. By the time the line actually started moving, it had to be at least three blocks long. It was crazy, I’m not sure how they fit all of those people in the building. Needless to say, the concert was great. They played songs from all their albums and ended the show with *fin, which is the best song they could have ended with. If you’ve never heard of or listened to Anberlin, do it. They’re amazing! The next day we ate breakfast, packed, and prepared to take off. We left our hotel about two hours prior to our departure, which I thought would be ample enough time. Unfortunately, when we went to return the car, we had nothing but trouble. I was charged an extra $80 by Avis for being an underage driver, returning the car late, and for taxes. I immediately went to the service desk and told representative that there was an issue with my bill. I specifically booked my car through USAA, since they wave underage fees, I returned the car an hour before I was scheduled, and I completely prepaid the taxes and fees prior to picking the car up. It was a mess. To make this process even more annoying, was the representative. She was extremely unhelpful and unwilling to adjust my bill even after I proved to her that I had booked through USAA, prepaid the fees, and I was early. The computer did not mention any of this, so she said that she couldn’t do anything. After 5-10 minutes of getting no where, I asked her to call over her manager, so I could speak to someone who could help me. He was much friendlier and he fixed the bill pretty quickly. This all took place at the Avis located at the airport, so if you can avoid it, do. By the time we finished dealing with the Avis reps and actually made it to the airport, we only had about 50 minutes until departure. Being in the nation’s fourth largest airport, I was unhopeful that we would actually make our flight considering that we still needed tickets, we still had to go through security, and we had to take the metro to the furthest terminal. Somehow, despite the odds stacked against us, we made it to our flight with 5 minutes to spare. All in all, it was a very nice weekend getaway and a great use of my companion pass!